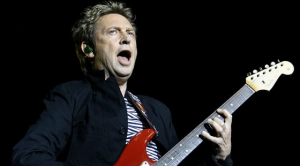 Andy Summers is one of the great guitar stylists. His delicately serrated lines flavoured The Police’s popular meld of rock, reggae and jazz during the 1970s and `80s. Since the supergroup’s demise, much of Summers’ solo career has been characterised by rock/jazz explorations and collaborations with Robert Fripp. But he reunited with The Police for a world tour in 2007-08, and that move back to mainstream rock clearly inspired his latest move. Circa Zero’s debut album, Circus Hero, is Summers’ first project since The Police tour. Teaming with LA multi-instrumentalist Rob Giles, Summers’ guitar work is fairly conservative, with the single Levitation a radio-friendly rocker. Others, such as Light The Fuse & Run and The Story Ends Here, sound like lost U2 tracks.